The allspice, cloves, nutmeg and crisp pine needles of bay rum with beautiful roses added to the mix. Through the eyes of: Vik Vaughn! Shaving with Bay Rum is loved by all and has a unique scent profile, with allspice, cloves, nutmeg and crisp pine needles. We have gone over the top and added decorative roses to the mix. Then blended a scent of true scented roses and rum fragrance for that one of a kind shave. 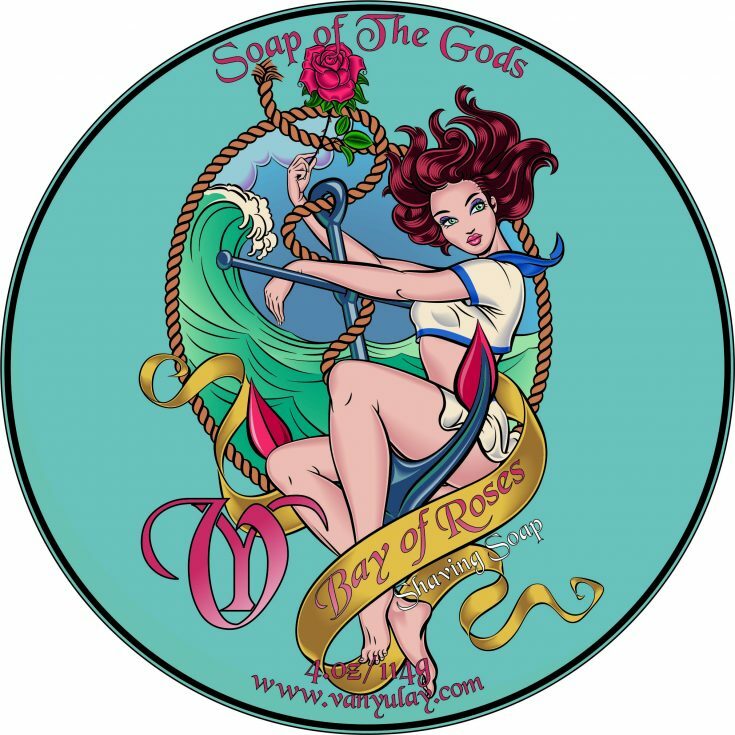 Making a shaving soap with roses embedded into a bay of rum! · Rosewater- has benefits stem from natural anti-inflammatory properties, which make it ideal for topical application to calm red, irritated skin conditions. If you’re the type that’s riddled with painful irritation this is the shave soap for you. Made with Rose Water, Stearic Acid, Coconut Fatty Acid, Palm Stearic, Glycerin, Potassium Hydroxide, Castor-Coconut-Grapeseed-Babassu-Argan-Oils, BTMS, Extracts, Polyquats, Allantoin, Silica, Liquid Silk, Bentonite Clay, Sodium Lactate, and Fragrance. I tried the sample of this, and I absolutely loved it! I’ll be purchasing the full puck soon! excellent, i cant add anything to what other 5 star reviewers said about the soap. i have 3 other soaps of hers with matching AS. and im about to get more.